With your thermometer keep records what is usually the warmest part of the day. The coldest? What conditions cause temperature to change? How does a rain gauge work? Measure the rainfall over a specific period of time. Compare it with the daily weather reports. What is the principal of cloud seeding? 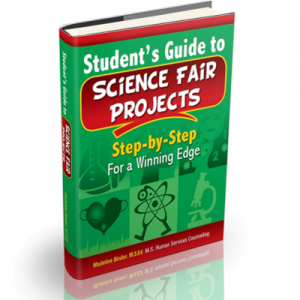 How can you turn that into a science fair project? Track the individual TV weather reports and do a comparison of accuracy. Track the weather with your weather station. how does it compare to the newscasters? Using the Beaufort Scale, is the speed of the wind determined by the temperature? Does the temperature affect evaporation? The weather station is easy to operate and you will be able to experiment with it independently of an adult. Global warming, shifts in climate conditions, and natural disasters such as hurricanes and tornadoes, weather has become an important science subject. Weather effects our environment, safety and daily lives. Studying and tracking weather patterns has become necessary to survival for people all over the world. WARNING CHOKING HAZARD- Children under 8 yrs. Can choke or suffocate on uninflated or broken balloons. Adult supervision is required. Keep uninflated balloons away from children. Discard broken balloons at once. WARNING CHOKING HAZARD- Toy contains a cord. Not for Children under 3 yrs.